Where You At? 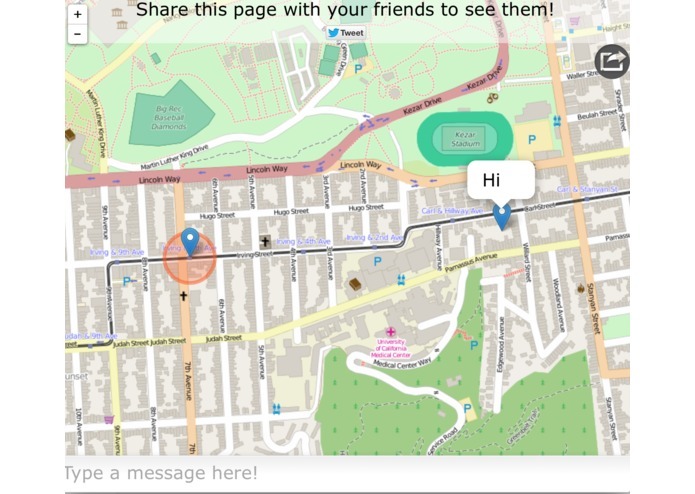 is a simple, easy to use, cross platform service to help people figure out where their friends are. 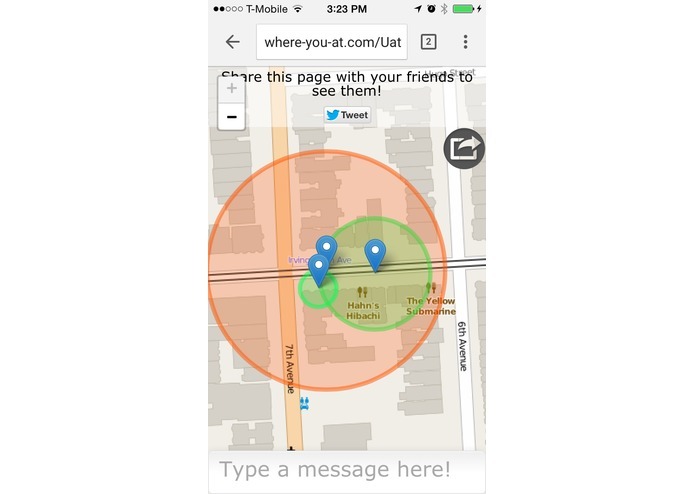 By accessing the site, you create a private page which you can share with your friends to show them where you are, and to see where they are. Stop viewing the page and you stop broadcasting your location. 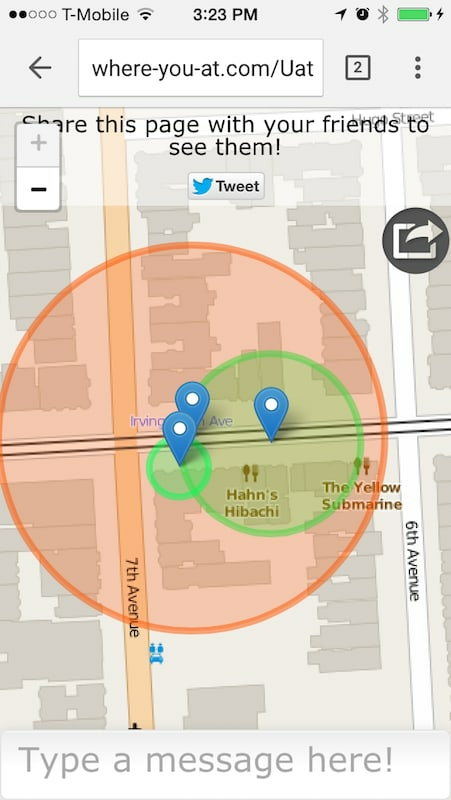 No complex permissions hoops; no application installs, just open and share. People trying to meet up for grabbing a drink, shopping or impromptu soccer. Checking in on someone. Anyone who's ever wondered if their friend is close yet. Simple messaging for communications inside Where You At? Built in Go and GopherJS using WebSockets and HTML5. Stateless design ensures ease of future scalability as well as effiecently being able to handle many simultaneous users. Strong static typing means a program that's much easier to verify. Concurrency support means the ability to handle many different connections at the same name. The language features naturally align with the requirements of near / soft real time applications. GopherJS means isomophic Go. Both the client side and the server side of the application can be written in the same language, and Go's type system benefits, and concurency features can also be used in the front end. It allows for common structure definitions to be used between the two systems very easily.